Please mark your calendar for out first TEDxYakima Salon event on December 6, 2017 at 7pm (doors open at 6pm). The theme of our first event for the season is Interconnectedness. Suzanne Bishop, a Horticultural Research Manager in the Yakima Valley, explains what creates a great apple pie. Some apples don't make good pie. Discover the heterozygous journey of an apple. Suzanne Bishop is the Horticultural Research Manager at Allan Bros., INC. She grew up in Yakima, Washington and returned to the Valley after completing her M.S. Degree in Horticulture at WSU-Irrigated Agriculture Research and Extension Center (Prosser, WA). Her projects include a broad variety of topics from soil and plant nutrition, irrigation management, plant growth regulators, remote sensing, improving crop loads, postharvest decay resistance management, improving fruit handling procedures in storage and on across packing lines, testing rapid CA practices, and reducing postharvest cherry cracking. David Sakamoto was 7 years old when he and his family were uprooted and forcibly moved to an internment camp in 1942. He shares his experience of being detained for 3 years. 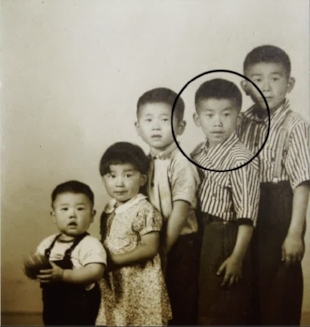 Mr. Sakamoto was born and lives in Wapato, Washington, from where, as a 7-year-old child in 1942, he and his extended family were moved to a Japanese internment camp in WWII for 3 years. Upon return, his family re-engaged in farming. As an adult, Mr. Sakamoto retained his roots in farming and became both a carpenter and a businessman while raising a family. He continues deep involvement in his community.